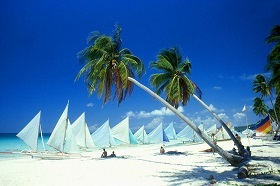 Boracay Best Deals simply finds and provides the best deals for its customers for their Boracay vacation. Best Deals do not necessarily mean that those are the cheapest nor the most luxurious deals, but these are the deals wherein the CUSTOMER IS THE HAPPIEST. 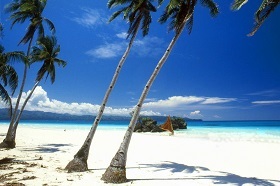 Boracay Best Deals adhere to the principle WIN-WIN-WIN. The customer is happy, the hotel/transfer service provider is happy and Boracay Best deals is happy – EVERYBODY WINS in the best deal! Boracay Best Deals focuses on effective communication and good customer service to ensure that all bookings on hotel/resort, and transfers and are properly done. We at Boracay Best Deals go the extra mile and will strive to come up with the Best Boracay Packages for all types of customers. Boracay Best Deals is not merely a travel agent, but most importantly, a WELL TRUSTED FRIEND here in Boracay. We are happy to receive very positive feedback from our guests/clients and we are very thankful of their testimonials. Boracay Best Deals will continue to look for more Best Deals here in Boracay for the utmost benefit of our beloved customers – YOU. YOUR BOOKINGS ARE SAFE AND SECURE WITH US = 100% LEGIT DEALS !!! TOP BORACAY TRAVEL AGENCY FOR 2012, 2013, 2014, 2015 & 2016!